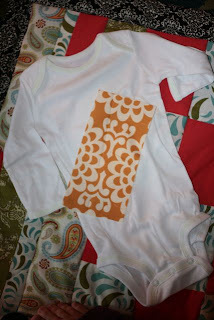 Wanna take that boring t-shirt or baby onesie and make it interesting? 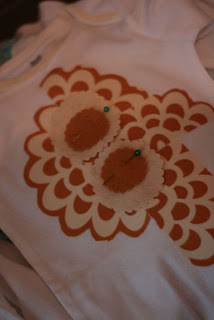 Here is the easy way to do that in under an hour (this is a "one nap" project for those of you with babies). 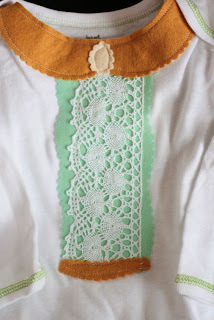 wool felt, lace, crochet, buttons, anything you want to adorn it with. 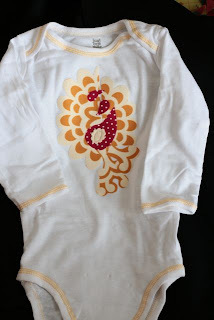 get the shirt, onesie, whatever and the fabric you want to work with. this is the stuff I use to adhere the fabric. Of all the kinds I've used, this is my favorite. I got it at Hobby Lobby, but I am sure you can find it other places or on the web. 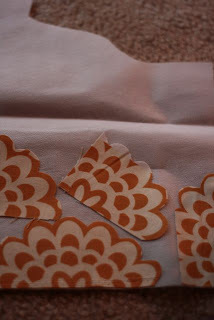 cut out pieces of the fabric into interesting shapes. I used the pattern on the fabric to guide my shape decisions. 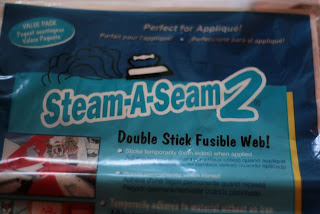 I then put it onto the sticky part of the "steam a seam." keeping the "steam a seam" attached to the fabric, cut around the fabric so the edges are flush. 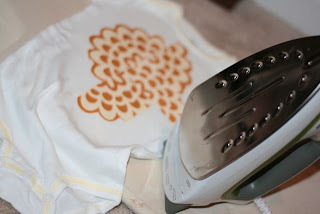 place the pieces on your shirt and then iron on according to directions (steam a seam says press it on the cotton setting for 15 secs). 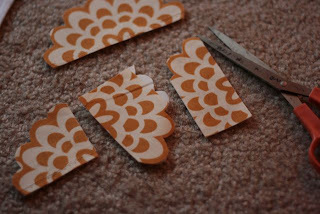 Cut-out other things you want to add on top. and pin. 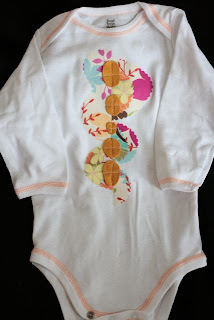 then sew together (you can sew through the steam-a-seam). TA-DA!!! Love it! You are such a smarty! These are beautiful. I love all the colors and different textures. I am so glad you showed how to do this. I have a girlfriend having a baby boy and had NO idea what to make for her! This is going to be perfect! Totally cute, thanks for sharing! 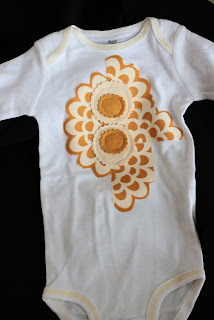 What sweet onesies! Come link up to Make it Wear it if you'd like! very cute! Thanks for the ideas.